Strange things happen when you’re up at 6am and too awake to sleep but to asleep to function. Things like watching unplugged videos on MTV and getting distracted by the awesome backgrounds and obsessively refreshing the page in a new window (so your videos can still play) to see all the different random backgrounds that appear… and then refreshing until so many repeat that you can safely guess that you’ve seen them all. My favorite part of MTV as a kid was definitely the interstitials with awesome animations of their logo ~ well their website does it too ~ so check out a few of my favorite backgrounds from their site on the next page! SO fun! I’ve always liked MTV’s backgrounds (well some more than others but still). Here in my country they lack the same kind of creativity (and copy a lot of things). Totally agree that mtv has one of the coolest style. 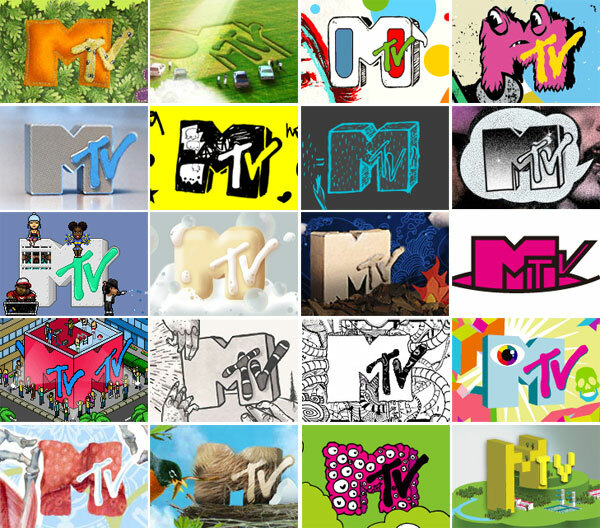 There’s always something new and exciting when mtv logo appears! Then you would be sad to hear that MTV International has rebranded to do away with the changing logo and keep it the same. I wonder if they’ll keep this feature on the website given their new logo policy.